Raaes was a film, that got delayed and delayed and then again delayed. But, here it comes finally, a gangster film from bollywood. This film is a huge disappointment, I knew this after watching the trailer, and yet I was proved right. This is about a gangster whom I have heard about and has a great story, which can be cherished by making it into a great film, but here it went opposite. The only saying grace in the film, lies in it's performances. Nawazuddin Siddiqui, he is the man, who steals the show, in which ever scene he is in. He is by far the best actor working today in the bollywood. 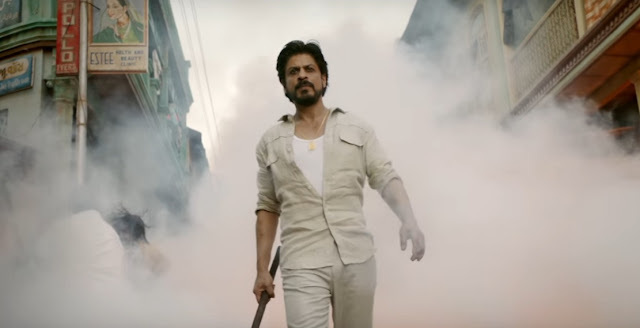 Shah Rukh Khan, gives his best performance till date? I will say, probably yes! There was nothing wrong with the performances. It has a weak script, which is full of heroic dialogues, it worked pretty well at times, but at times it felt too much melo-dramatic. There shouldn't have been unusual songs in it. Direction, yes, narrative was pretty good, but action elements, romantic elements and etc. felt to much unrealistic. This film could have been the great bollywood gangster film after a long time, (well, it wouldn't have reached the level of Gangs Of Wasseypur, even then). But, it had so much potential, that it would have been a lot better, after all this delay, what we got is, a Once Upon A Time In Mumbai 3, sort of film. 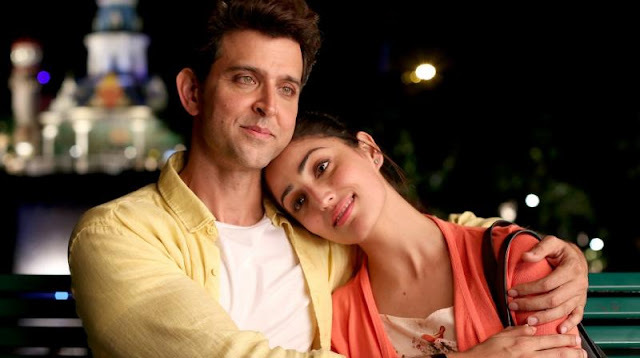 But, I loved the performances, and my pick between this and Kaabil, is pretty tough to choose, they both aren't really special, but I will say, I enjoyed this slightly more. In the end, it's your choice. This film is really something else, it pretty much shows the whole plot in the trailer, and then there is one big thing in it, which just messes with my head. I mean, it has flaws after flaws, but then they later show, something else. So, that is the plot, it has some really unrealistic, over the top action, and it is not at all well executed. I don't know many people are giving it positive reviews, this film is even worse then Raaes. Though both are "not so good films". The good thing in the film, is the performances. Hrithik Roshan, weather the film is good or not, he is at his level best. His performance might be the only saving grace, as similar case as Raaes. Other actors were pretty decent, some did too much over-acting at bits. This film didn't even had the potential, I'm sorry to say that. But, if you are going for entertainment, you might get it, but certainly this film wasn't for me. So, that was the dual review of both of the films. Sorry for the delay. Both, are disappointments, but still see it, as in the end it is your choice. So, what do you pick Raees or Kaabil?